Writing and reviewing is one of the joys in my life. These “Vapinski” articles I produce are a dream come true, as is my whole career and ties to the Vape Community. I have had to take a bit of a pause in my writing due to some personal issues that I have had to concentrate on more than ever, but I would like to share them a little with you, if you don’t mind. What better time to get to know Vapinski than right here and NOW? My recent break stemmed from my daughter, a 6th grade student at a local elementary school. She has been bullied from time to time, and there were people aware of this issue. She had lost a classmate recently due to suicide, a thirteen-year-old boy in her circle of friends. I cannot draw any conclusions to all of the underlying reasoning with a child of this age, but do know bullying did occur with this child as well. My message to all of you parents out there is this; please take a few moments to have a discussion with your children regardless if you feel they behave correctly or not. You just DON’T know. There are way too many, “NOT MY KID” attitudes out there, and we all have to work together to make this world a kinder place. I’m glad that I have taught my daughter to always be able to stand on her own no matter what happens. I taught her to be kind, help others, concentrate on her school work, and that “humor is the best medicine“. She is literally a mini-me. And she is SO strong. My daughter has been a tough little bugger through all of this, and her class and this boy’s family has been in our community’s prayers for quite some time. We are a community here. Not only in my town, but this follows through to my Vape Shop. A little more than six months prior to this, my son was with one of his best friends when his friend’s heart stopped and he collapsed. My son was 14 at the time. His friend passed away of a birth defect. My son as had a very rough time, and it’s been a struggle dealing with the ups, downs, and balance with a male teenager. At the heart of it all, he is such a great young man as well. The young man that passed away touched many lives throughout the surrounding communities. I’m amazed at how many customers knew him or have had to deal with the loss in similar ways to what I have…it’s been nice to have support throughout the communities. Again, my town and the shop. My son has dealt with bullying over the years, and while I express there is a point where one has to defend themselves, I urge never to initiate it. Teaching my kids such hard lessons to overcome at such young ages is overwhelming at times, but I am blessed with super parents, their Dad and his family, and their few good friends/families. 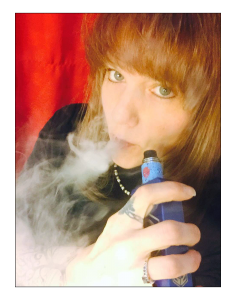 I have dealt with more than my share of stress, trying to keep my family going while at the heart of it all still keeping my other baby running strong and smooth, Sweet Home Vapor Co PA. You see, while I am only a partial owner at the moment, I have been the sole operator since we opened in November of 2014. I have been blessed to have friends pitch in when I have emergencies, but I try to be there as much as possible. Helping others has always been a calling in my life. As you all may have read in some of my previous articles, I have a Culinary background which is what led me to be a true flavor connoisseur. I began really digging into the flavors and what they are composed of when I started reviewing back in June/July of 2014. There were no Vape Shops around me at the time. I did most of my ordering online and was not happy when the majority of the flavor profiles did not come close to what I read in the description. I felt like I could accurately portray the GOOD flavors out there by taking flavor profile photos to go along with the reviews. I started blogging on five different sites while I was still at my stable desk job. I had gone into a profession for stability and had honestly planned on staying there forever. I never knew that I would find another calling. I was skilled in math and that landed me in structural steel drafting. Yes, that throws people off often. There are buildings in at least 4 states that have my imprints on them, from hospitals and casinos to large Universities. I’m extremely proud of the work that I accomplished at Amthor Steel while I was there. A woman detailer was not a common thing, and I was pretty darn good at what I did by the time I decided to leave. I did try for a part-time position, but the company did not permit it despite my loyalty to the company. In hindsight, I have to thank them for not letting me stay on part-time. I understand it more in a business perspective now. When I began discussing things with Spinfuel, I was in the process of working things out with opening the shop. It was a HUGE transition in my life. The hours, the travel, and just the work in general. I was going to be working with the public and I absolutely couldn’t WAIT. I had been trapped behind a desk for far too long. Furthermore, I could share my stories with so many people. Vaping had improved my health quickly. We were approaching winter and I hadn’t been sick yet with one of my doses of bronchitis or strep throat that I would get 5-6 times a year. The different flavors helped me to not turn to food, and the proper milligram of nicotine helped me ween myself down the nicotine scale at a comfortable pace. As I went through my process alone to when I met certain vendors through review, I continuously learned more and more. Vaping is a never ending learning experience. I knew my little corner of the world needed knowledge. I had to help somehow!! This was the only vice that ever reached success for me…and I LOVED my reds. Period. I used to shout it out too. Throughout the cold winter, spring, and even summer…I managed to have a full year of no illness. I got taken off of my blood pressure medication in the fall of 2015 for good. Vaping also helped me to lose 30 pounds in the two years, and keep it off. The stories that I hear from others who can now run up flights of stairs, ride bikes, and simply just breathe without coughing all the time are amazing!! The Thank You’s that I get are PRICELESS. The family that my customers become are what makes my ‘career‘ another child to me. I have always had a careful eye on what I bring in my shop. My bottles are child proof, some even sealed on top of the child proof caps. We have that stipulation for Spinfuel reviews. They all have warnings and ingredients listed. There are many items I have chosen not to carry in my shop because of how they would be perceived-including eliquid containing any food coloring or any devices resembling toys or weapons. I have been about helping people kick the habit from day one, yet also catering to the hobbyist and flavor junkie to an extent. I have one of the biggest selections of eliquids and vape gear product, and will always carry 0mg to 24mg—and never judge anyone. No one ever should. We all start somewhere. I have become the bartender without alcohol in my small little town. My shop family visits out of nowhere and I often spew out advice from lessons I’ve learned or helped others out whether they want it or not. Most of the time, it’s much appreciated…. lol. The few I’ve helped over this time personally, I’m SO glad that I was able to give the advice when I did. I help when I can, but I do get taken advantage of too. I’m one of those “too nice” people I guess. I had a meeting with the local cops over a shoplifter last week. He was a local who knew I had cameras and who had confided in me from time to time. I had helped him out a time or two. Some people just can’t help the urge, you know? It’s still not going to stop me from being me…. With all of the rulings that are out, and all of the ifs, ands, or buts that need ironed out….be patient and hold tight. This fight is far from over. I just saw that the first challenge against the FDA has been filed. I am positive there will be more to follow. The Big Tobacco and crooked governments will not take away all that us “hard working individuals” have done to make this industry a success. They just want to monopolize it and make the dime for themselves down the road, trust me. Are there regulations that need followed?!? Absolutely. For example: the age restriction, label items we’ve always felt necessary here at Spinfuel, and certified labs for mixing. We require lab photos for those reviews for the team reviewer as well. I do ask that question of all those I review for Vapinski too. It is important to me as a shop owner that I look as thoroughly as I can into all eliquids that I carry. I have people that make monthly and bi-monthly trips just for that reason. They know that I know my stuff and they always feel at home here. We pride ourselves on being a NO DRAMA shop. We welcome everyone. Some people just like to cause drama, and that is the way of the world, unfortunately. I’m here to make an honest living and make connections while I help support people on their journey to be cigarette free!! I do it with the best sarcasm and music that a shop can offer. I have a pool table and free Wi-Fi to especially attract the 18-21 crowd and keep them off the streets. I have bigger plans for whenever I can afford to make a bit more of a difference. This community needs it, and I’m going to continue to make a difference any way that I can. Over the last eighteen months or so, I have helped countless individuals quit smoking and make the switch to vaping. Some have even gone straight down the nicotine scale, and some even quit vaping altogether. It works for everyone in a different manner. I will always need that “hand to mouth” habit, and vaping has become so much a part of my life. This is the first career that no matter what time I land here at this shop, I am smiling. I am ME, and damn proud of it. If I’m having a bad day, customers bear with me or bring me coffee…and I still manage to make them smile in the end. It’s just who I am. This is my place, my only place, and one I’m proud to call my second home. I will never have to make millions of dollars. I am out to change lives in my small community-one day at a time. Keep fighting the fight and do what YOU can…but most importantly share the positive impact vaping has had on YOUR life. Make those around you aware of the evils that are trying to gain control over our industry. Every household is filled with many so called “poisons” that children can gain access to…. this is NOT something that needs SLEDGE HAMMER regulations because of ‘poison control center call increases‘ which are REALLY due to lack of proper parenting. Yes, you CAN watch your children at all times and have your products locked up or somewhere safe if you can’t have your eye on them. I never drank Drano before the Mister Yuck stickers came out, or the Windex, or how about that tube of glue? I never touched anything I wasn’t supposed to-as most of us did not, and this was even before the child safety locks on cabinets. Please quit trying to fool America. If Big Tobacco & the Government think that their influence over the FDA hasn’t just exposed them in SO many ways…. they are dreaming. “Let’s destroy a life-saving industry so that we can continue to cause more deadly cancers“? OH, but in TWO years when Big Tobacco releases its first device with batteries and e-liquid, it will be safe as all get out!! You can bet your bottom dollar there will be more than 4-5 ingredients in that eLiquid too, but they won’t be able to explain to you all why that is necessary. Can I be more frank than that? Just my opinion folks. WAKE up and smell the vapor. This is about more than saving the Vaping industry. It’s about saving our rights as Americans. It’s time the whole nation stands up together to fight. We start here and keep going. Write me in for President if you must…. Look for reviews to resume soon. There are still tasty flavors to talk about and update articles to get to while the fight continues. My life is starting to finally balance out. Good things happen to those with a kind heart who never give up….